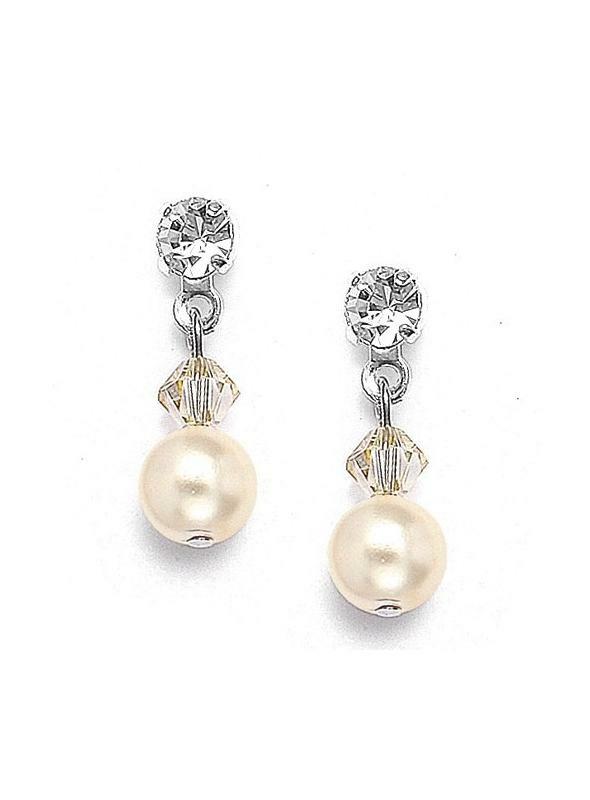 Our vintage inspired romantic pair of earrings are a best-selling accessory for every bride and second time around bride and are hand-crafted in the USA. 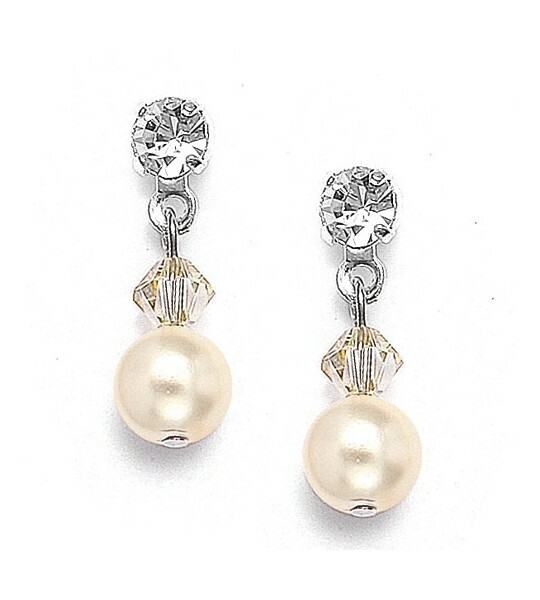 A beautiful, romantic vintage inspired pair of best-selling earrings for brides and second time around brides measuring 5/8'' available in lovely colors like Honey and White/Clear and are hand-crafted in the USA. 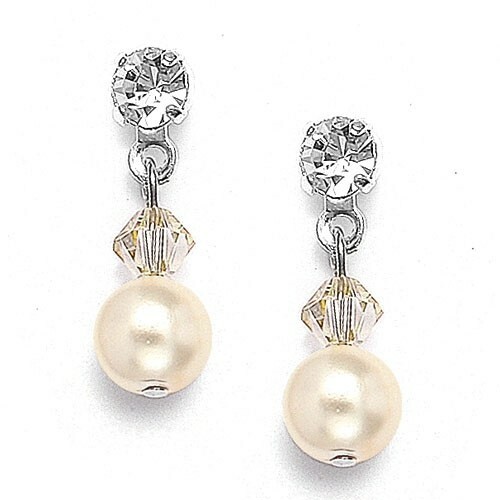 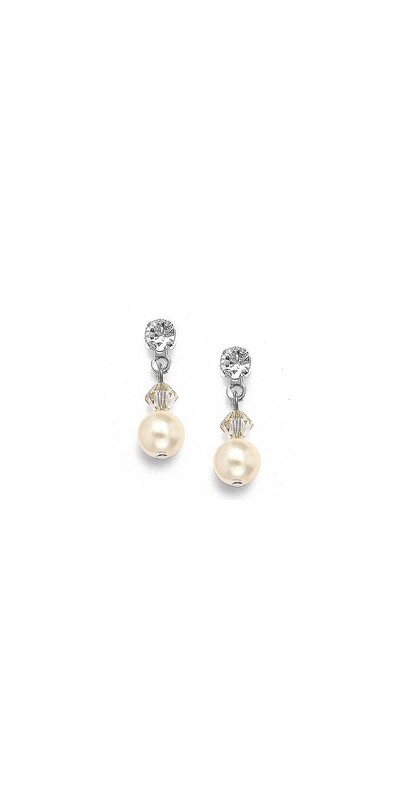 Featuring a 4mm Austrian crystal and a 6mm Swarovski crystal pearl drop, these gorgeous romantic vintage inspired earrings are a must have for every bride or second time around bride.